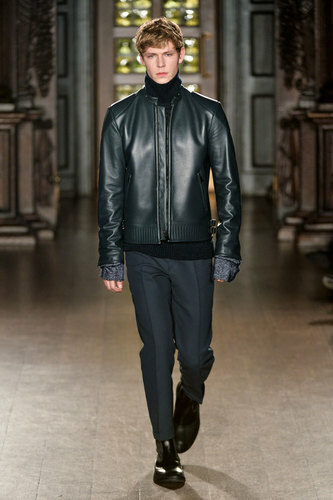 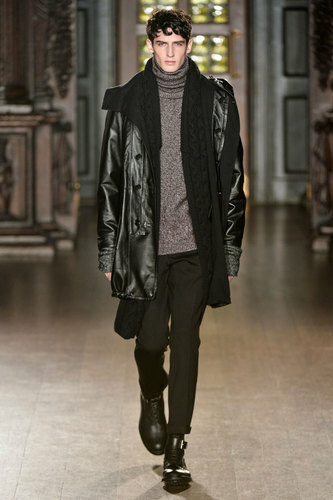 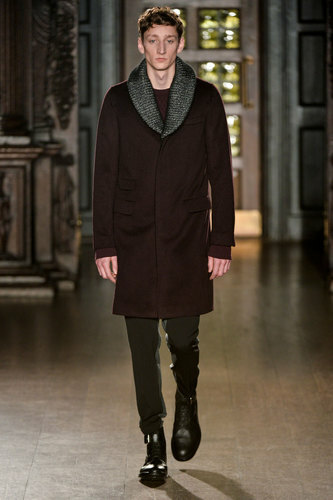 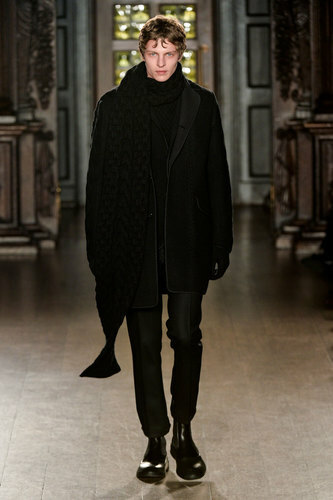 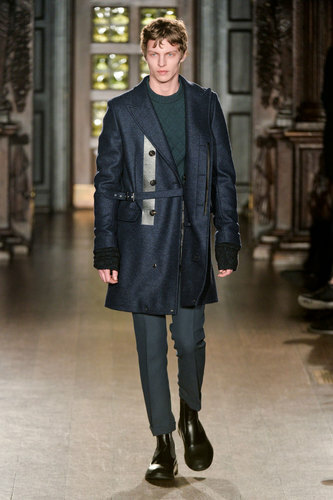 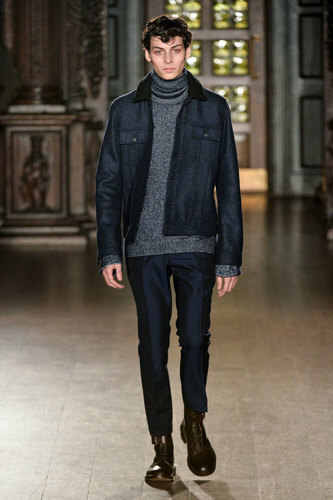 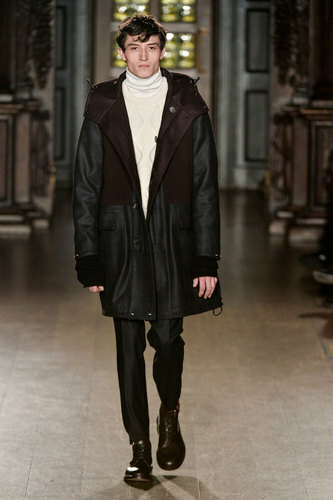 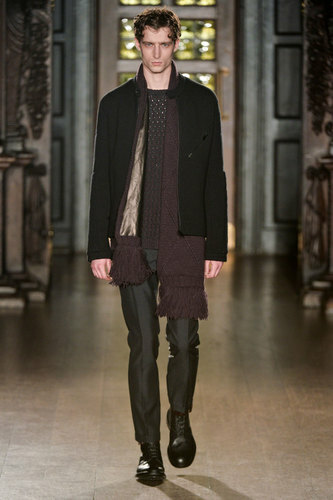 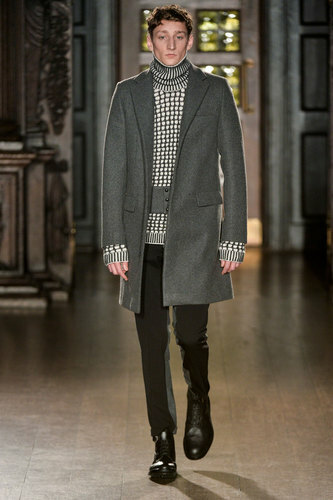 Autumn-Winter 2015/16 – Pringle of Scotland latest show proves itself again of great taste and style. 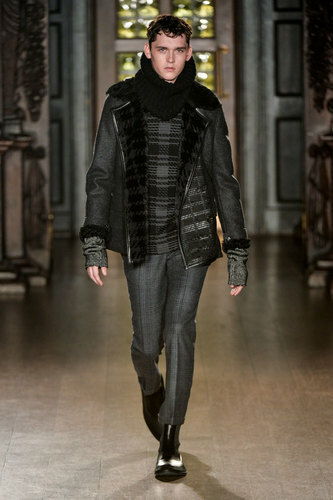 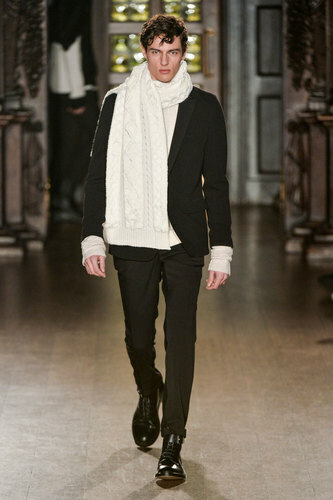 The male winter garments model on the runaway with class and charm. 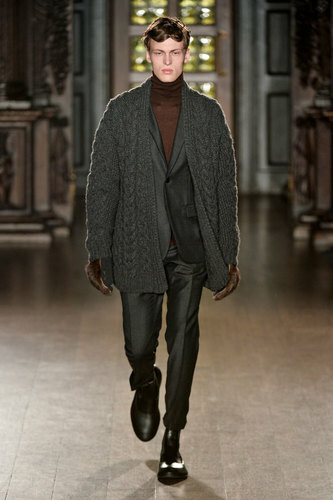 Elegant and modern dandies are protagonist on this luxury knitwear show. 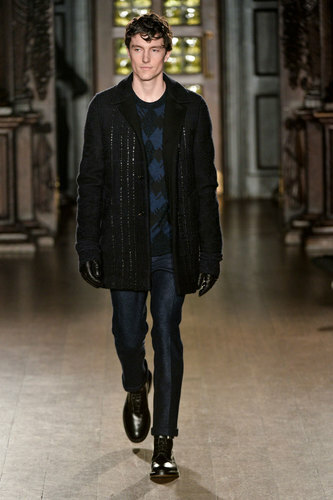 Dark shades are mainly chosen for the mostly monochromatic cardigans and sweaters. 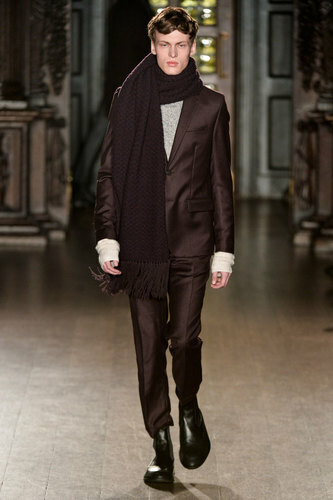 High quality is perceived in every outfit. 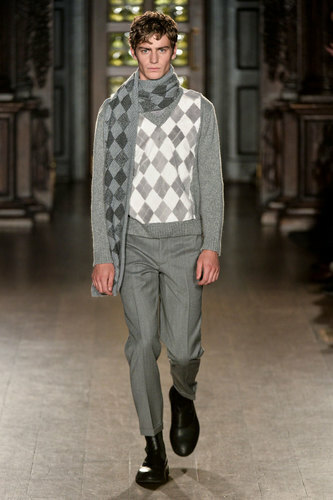 The Argyle pattern, is present in the collection with tones of grey, cream and blue navy. 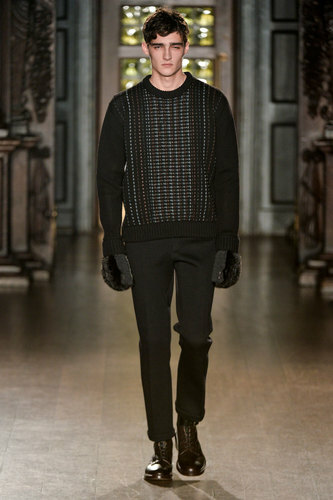 The brand underline the knitted garments preciousness by adding, as accessory, only stylish wool and leather gloves to the entire outfit. 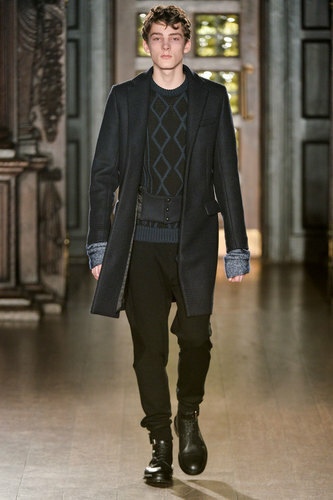 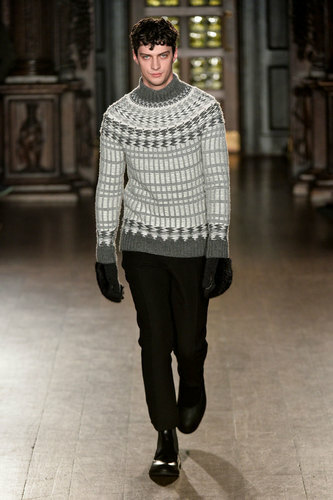 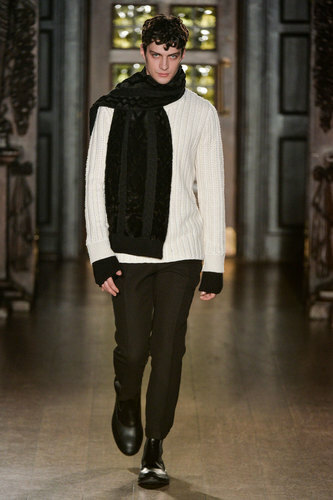 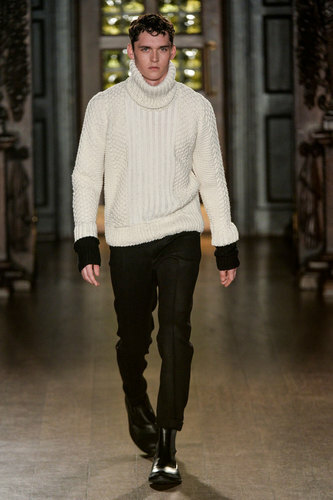 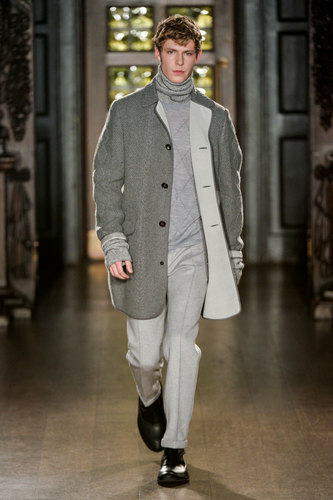 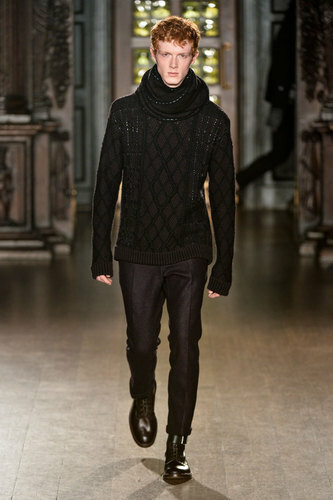 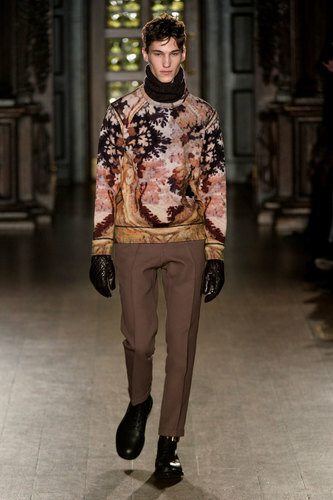 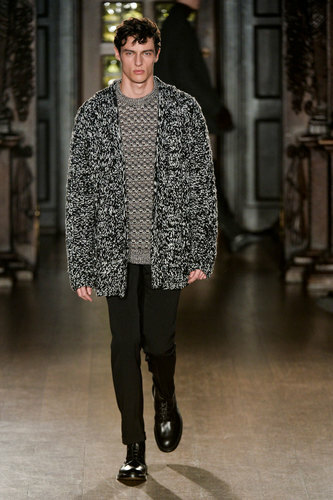 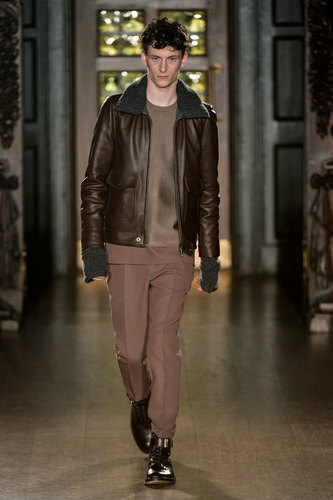 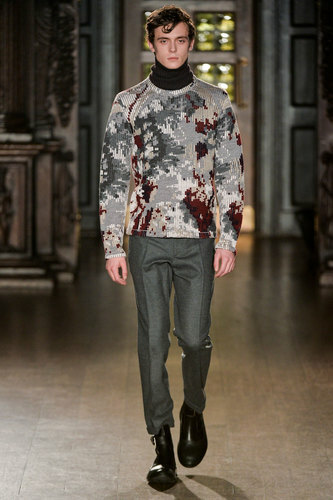 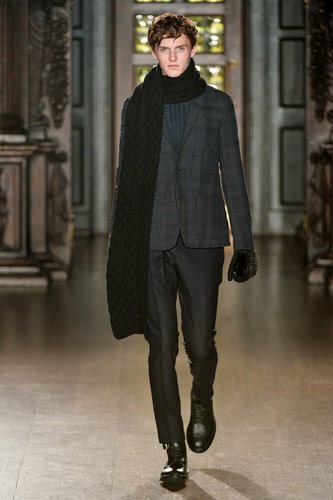 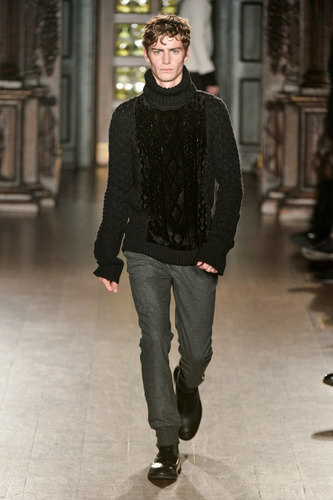 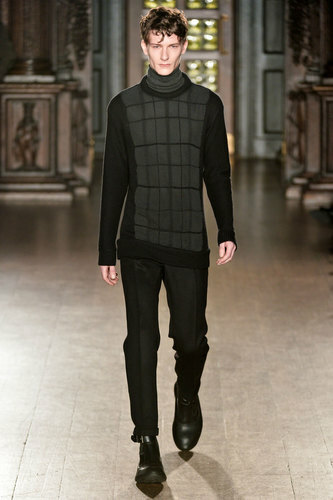 High collared knitwear sweaters and long sleeves characterize the Pringle of Scotland man of this season. 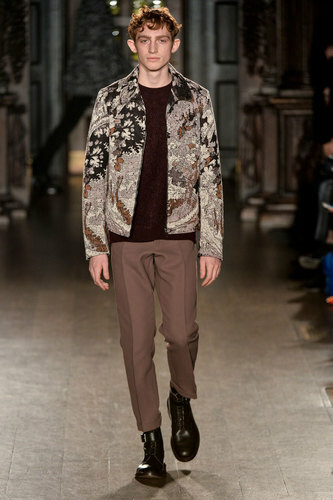 Keeping its authenticity, Pringle of Scotland brings innovation in few of the patterns proposed: blending of abstract flowers give the collection a touch of experimental design. 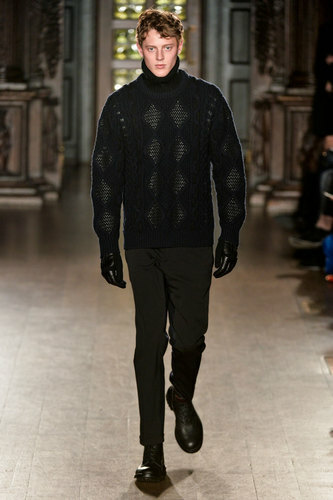 Probably the result of the recent new technologies attempts made by this refined heritage fashion brand.